Vodka has been recorded in history as early as the end of the 9th century and whilst you may think gin is as old, its existance can only be tracked back to the early 17th century. It was first recorded as being produced as a medicine to treat stomach complaints amongst other things and was sold in pharmacies in Holland – juniper was added to make it taste better. During the Thirty Years’ War British troops were given gin, aka ‘Dutch Courage’to help keep them warm and positive. The fledgling gin industry in England was boosted by the soldiers’ demand for it when they returned home. Gin soon became widely popular with the poor, and was even given to workers as part of their wages. It was cheaper than beer and ale and soon more gin was sold than any other drink in England in the 17th Century. This resulted in a profound problem with drunkiness in London especially – and by 1730 there were over 7,000 shops solely selling spirits. The Gin Act of 1736 increased the cost of the licence to sell gin and raised duty. Effectively this meant common people could no longer afford to legally buy it. Riots broke out and illegal production increased significantly. The law could not be enforced so the Act was replaced with a fair policy six years later. Did Gin Palaces really exist? In 1820 beer became popular again when the ‘Beerhouse Act’ facilitated the creation of over 45,000 beer shops. Spirit shops still needed licences, so to encourage their best customers to stay loyal to the tipple, they created large and luxurious ‘gin palaces’ where the poor could drink. Drink continued to be a massive problem so reforms were introduced to control production and consumption. This elevated the spirits industry and the quality of production, and the rest is history. 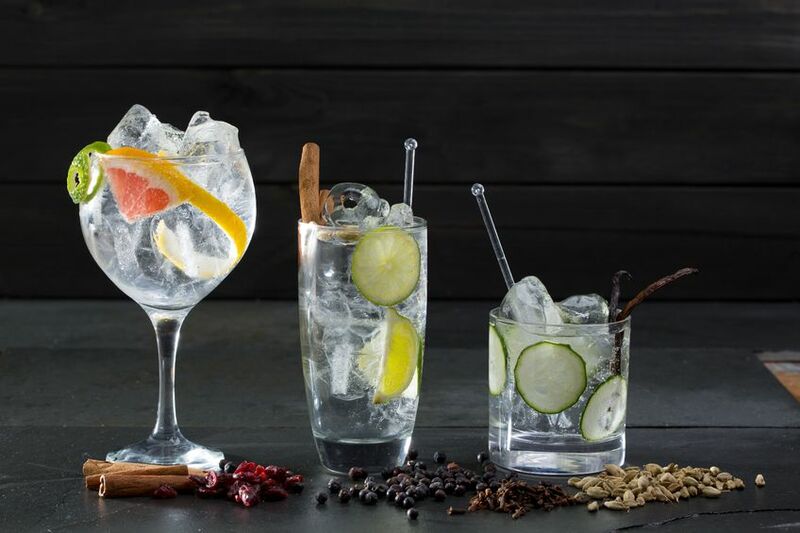 Over the last couple of years gin has seen a return to popularity. There are now many small distilleries from all over the world producing quality drinks with exotic, subtle flavours. Cocktails made with gin and mixed with liqueurs and juices are available in many gastropubs. However, for us, the sophisticated gin and tonic remains the Utimate Summer Drink. Our favourites to beat the Winter chill include our Berry Spiced Gin & Tonic, made with Bombay Sapphire and gently mixed with berry spiced cordial and fresh lime; and the Cranberry Gin & Tonic made with Gordon’s and a dash of cranberry juice. Check out our new menu, and make gin and vodka your new favourite drink next time you visit The Boatman. You’ll be in good company.